As I have attended various firesides and opened myself up to Questions and Answers, what seems to be the most interesting points is the specific ways I reconcile tensions in Mormonism. 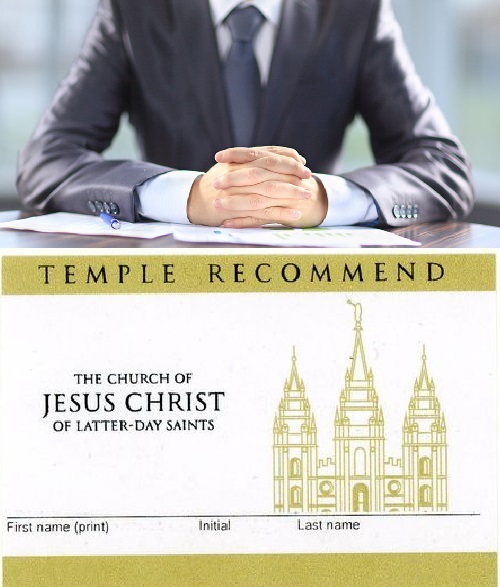 Recently in particular a group of folks were deeply intrigued at how I approach a Temple Interview. 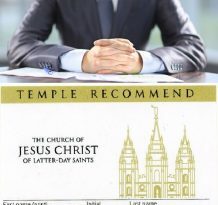 That for them there is such a discomfort that they barely can make it through receiving a recommend at the end or simply do not “pass” and are amazed at the fact that at least at present I hold a valid current Temple Recommend. So today I go through the questions. Helping listeners to see my approach. for listeners to see how I define terms and what my thoughts are as I go through the important experience within Mormonism. I hope this is helpful. Thanks for listening! Thank you for those insights, they are very helpful. I’m a writer and words fail me. Thank you so much for sharing your heart and thoughts. This is just what I’ve been needing. While I can appreciate the thoughts regarding the word “sustain” and how that might help you reconcile the conflict you feel around the question “do you sustain your church leaders”, I can’t help but point out that I am pretty sure the intent behind the word is more in line with Google’s first definition and not the second. I think a very enlightening exercise would be to see how the church translates that question into other languages and the word choices they make in doing so. We talk a lot about sustaining leaders, but let’s not get caught up in the messiness of the English language. Section 89 isn’t a commandment. You can’t decide that it is or isn’t, because it explicitly states in the body of the revelation that it ISN’T to be given by way of commandment, but by way of greeting. It is a principle with promise, as differentiated from a commandment.